I first met the talented Rebecca Aspin, owner of the Sell My Wedding website, earlier this year at an event run by the RocknRoll Bride in Sheffield. I was inspired to hear Rebecca’s story of how she came to set up the website and the idea behind it. I am now really happy to share a guest post with you from Rebecca – her top ten tips for a Budget Busting Wedding. 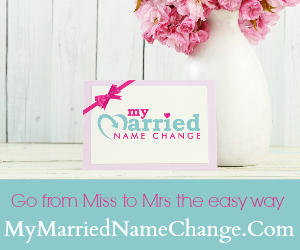 Four years on from my own wedding, I founded Sell My Wedding – a UK-based online wedding marketplace – as a way to recycle all of my preloved wedding treasures. The website has been live since last July with brides-to-be quick to snap up a bargain, in fact eager buyers currently outnumber sellers, showing that in the current climate brides-to-be are keen to cut down on the cost of their wedding. In an era of recession, which has taken its inspiration from the wartime make do and mend ethos, the trend to ‘Do It Yourself’ does not seem to be losing its popularity. From the invitations to the centrepieces to the food, an element of DIY pops up at most weddings, with some couples opting all out to do it themselves. 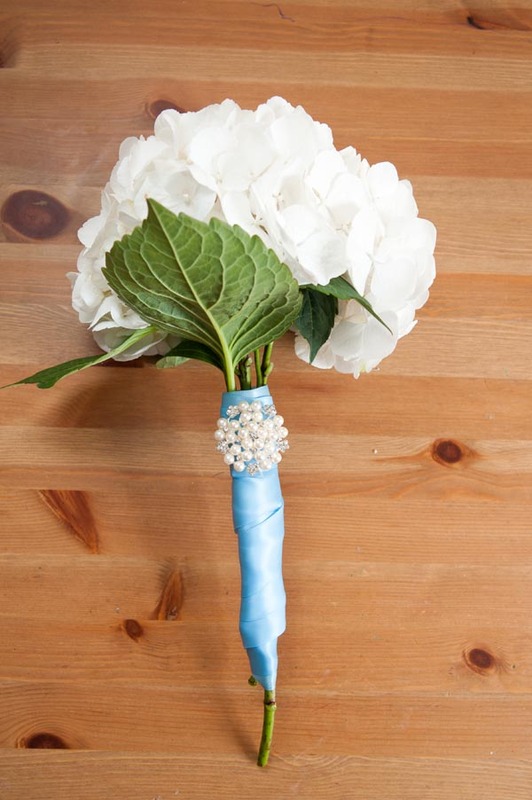 Wedding blogs are a constant source of inspiration featuring ‘DIY’ weddings and tutorials helping even the most novice crafter add a hint of DIY to her wedding day. Since William gave Kate his mother’s engagement ring it has once again become acceptable rather than frugal, to pass on the family heirloom rather than buying brand new. Kate also followed the old fashioned mantra, ‘old new borrowed blue’ when she borrowed the Queen’s tiara to wear at her wedding. By calling upon the talents and creativity of your family and friends you can not only reduce costs, but add that element of DIY to your wedding day. 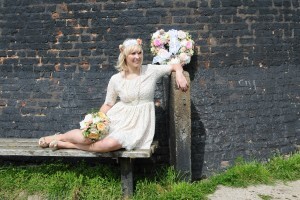 My friend Lucy who had done a course in floristry made my bouquet and my bridesmaids’ as my wedding gift, my Grandma baked a fruit cake which was served with the cheese whilst my friends made up the favours – old fashioned bags of Yorkshire mixture. Many hens have turned their backs on extravagant breaks abroad instead opting for a more low key, but equally fabulous, crafty affair in this country. Combine with (#1 DIY) to hold a craft party where you can make your veil or décor for your wedding. 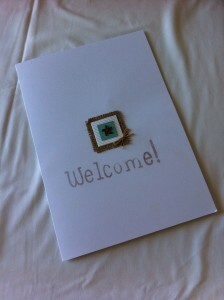 Try crafty wedding blog www.adoreweddingblog. 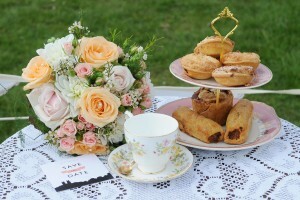 com for more inspiration and details of crafty hen parties. I must admit I love the look of mismatched bridesmaids dresses particularly in cute floral prints – it is not only a great way to ensure that each bridesmaid is happy with how they look in a style that flatters but most will be happy to buy their own dress if it is something that they ‘love’ and will most likely wear again. You never know, they may already have something in their wardrobe which is just perfect. The best thing about jam jars and bottles is that they are free! I am a particular fan of the strawberry bonne mammon jam jars as they have a red and white gingham lid. Jam jars can be used on their own or as part of a cluster to display candles or cut flowers. Or how about cutting old champagne or wine bottles in half to display flowers, they perfectly suit a vintage themed wedding with a mix of old labels on show. 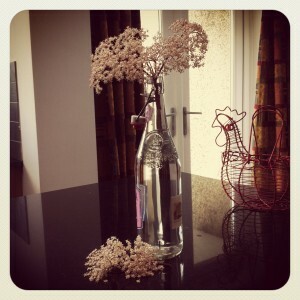 Or simply use old bottles to display single stems all the way down a trestle table. The best thing is that when you have finished with them you can recycle at the bottle bank or pass onto another bride. If you are looking for a venue to add your own stamp to, why not check out the village halls in your area, many have undergone a refurbishment and are equipped to host a large wedding party. As well as being a blank canvas, you can then bring in local suppliers to serve up your favourite food and drink. If you have the option to self cater why not source the food from your local butcher or greengrocer or encourage your venue to use one of your favourite local suppliers – not only will it taste fresher but it will reduce the carbon footprint of your wedding. 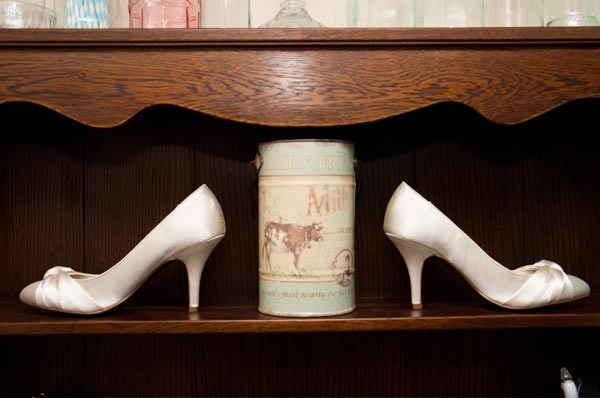 Gone is the stigma surrounding secondhand and preloved, brides are happy to source wedding items in charity shops, car boot sales, ebay and preloved wedding sites like www.sellmywedding.co.uk. By using sites like Sell My Wedding you may be able to afford the wedding dress you fell in love with but couldn’t stretch to full price, or afford those centrepieces if you know you can make some money back by selling them afterwards. Items that are being snapped up quickly on Sell My Wedding include bunting, lanterns and decorations, veils and hair accessories and 1950’s style prom wedding dresses – because unlike floor length wedding gowns, these shorter gowns don’t have any marks on the bottom. I have also noticed that brides-to-be who buy from the site are also coming back to sell their wedding onto another bride. Those sellers who do really well on the site are often those who are selling a large number of items from their wedding, the website also give sellers the opportunity to include the story of their wedding so buyers can not only be inspired by their wedding but also buy the items (at a fraction of the full price). Thanks so much Rebecca. 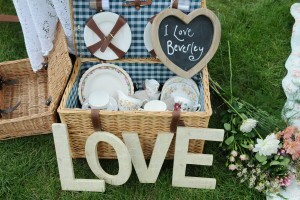 Don’t forget to log on to www.sellmywedding.co.uk to find fantastic pre-loved wedding items and inspiration for your wedding. 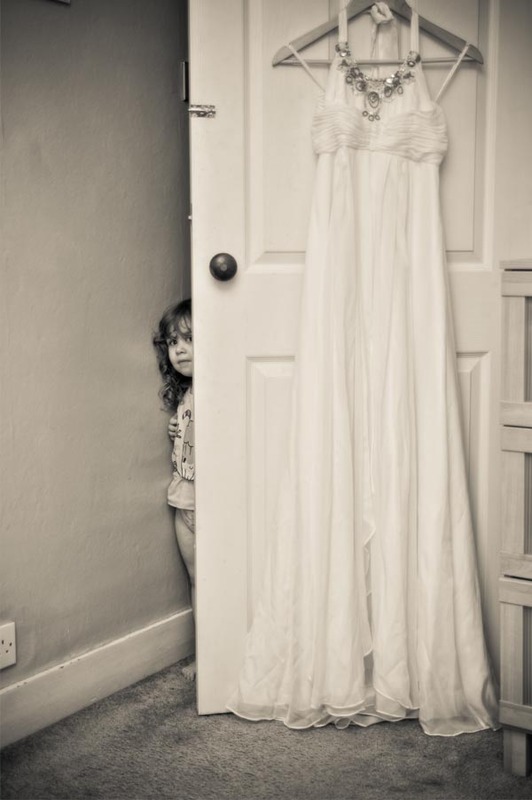 I have always been in awe of those girls (and boys) that are able to magically tell if an outfit or item of clothing will suit them, merely by glancing at it for a couple of moments. These lucky people have been born with a sixth sense in the style stakes and are the ones who always seem to look good – even if only popping out to the shops for a pint of milk. Whether you are a bride preparing for your big day, or you are going to be a guest at an upcoming wedding and are currently searching for a great outfit, knowing what really suits your shape the best can be invaluable in helping you make the right choices. I recently attended a ‘Style your Shape’ evening, hosted by the ever polished Carolyn Palot-Watts at her dress agency – Carolyn’s Collection, based in Earls Barton near Northampton. The aim of the evening was to share some top tips on how to dress to max your best bits, without having to spend the earth to do so. Carolyn was assisted by personal style advisor, Lesley Clarke (www.lesley-clarke) who gave some brilliant pointers on how to use colour and pattern to make the most of your assets. I’m pleased to be able to share some of the tips from the evening with you here. The recommendations below are based on the type of body shape you believe you have – the tips should help you when narrowing down your options for choosing a great wedding outfit! You have an ‘Apple’ shaped body type if you are fuller in the bust and tummy area, and have slimmer hips and legs. You should be showing off your lovely shapely legs and ankles and drawing attention to your slim wrists. By wearing well-tailored jackets, you will bring a look of definition to your body. Your best friends will be wrap dresses and tie over cardigans – these will accentuate your bust line and give added definition to your middle – the side bow will also draw attention away from your tummy – perfect! Top Apple Don’t: Bulk up your top half by sporting shoulder pads or tapered trousers, either of these will simply make you look bigger where you want to look smaller. You have a ‘Pear’ shaped body type if you carry your weight more on your hips, bottom and thighs. Your best bits will probably include a nice narrow waist, slim arms and a great bust line – all of which you should show off! Highlight your top half with pretty, patterned or colourful strapless tops or dresses with spaghetti straps. Keep colours on your lower half darker and more muted – this will pull the eye upwards to your top half. If you are wearing a dress, A-lines are a great bet for this body shape. If you are wearing a belt, put it around the slimmest point of your waist to show it off. If you are wearing trousers, go for boot cut - to even out your silhouette. Top Pear Don’t: Wear skinny jeans and flats, this will only maximise your rear and make you look shorter. You have a ‘Rhubarb’ shaped body type if your hips and bust line are slim – you will probably have long legs and torso and you don’t put on weight easily. Go for shorter skirts and dresses that show off your long legs. Halter necks can help create curves on your top half. You’re lucky as you can also go crazy for colour and patterns – whether you wear stripes or bold colour on any part of your outfit, you will be able to pull it off. Top Rhubarb Do: Ruched dresses and those nipped in at the waist will give the illusion of curves where you do not have them. Top Rhubarb Don’t: Avoid baggy clothes – they will swamp you. You have an hourglass figure if you have full hips and bust with a small waist. You have a classic feminine shape so show it off! Ensure you invest in good underwear for maximum support – a good quality uplift bra will ensure you look your best in tops and dresses. V necks are an excellent choice for hour glass shapes, but always make sure that you leave your tops untucked in to your trousers or skirt – you need to elongate your waist as much as possible, so leaving tops untucked helps with this illusion. Top Hourglass Do: Pencil skirts with puff sleeved blouses and fitted jackets were made for you! 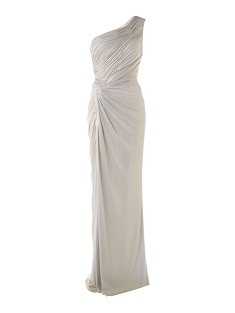 This is a classic way to accentuate your hourglass silhouette. Top Hourglass Don’t: Don’t go too baggy or too clingy: too baggy and you will waste your curves, too clingy is not as flattering as gently draping your figure. These pointers were all illustrated brilliantly by Carolyn and her team who were on hand to show us some before and after outfits, showcasing how dressing for your shape really is key. The thought of walking into a clothing shop or boutique and being able to put your complete confidence into a professional who knows what will look good on you is a really great feeling. Carolyn has a sparkly and vivacious character, and you can’t help but feel at ease as soon as you enter the store. Walking through the maze of interlinking rooms bursting with colourful dresses, scarves, shoes and jewellery – you could be forgiven for losing several hours of your day exploring what’s on offer. And my favourite thing about the store? Everything you see has been pre-owned. 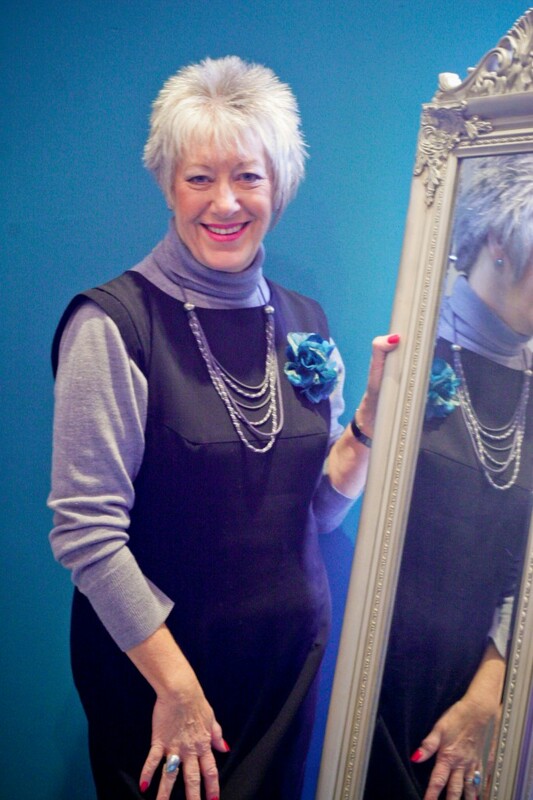 This means that the prices are fantastically reasonable and as a mother of the bride, you could find yourself in a beautiful Jacques Vert outfit for £30. The range of accessories includes shoes from Dune through to handbags from Radley – all at around a third of what you would usually find them for on the high street. 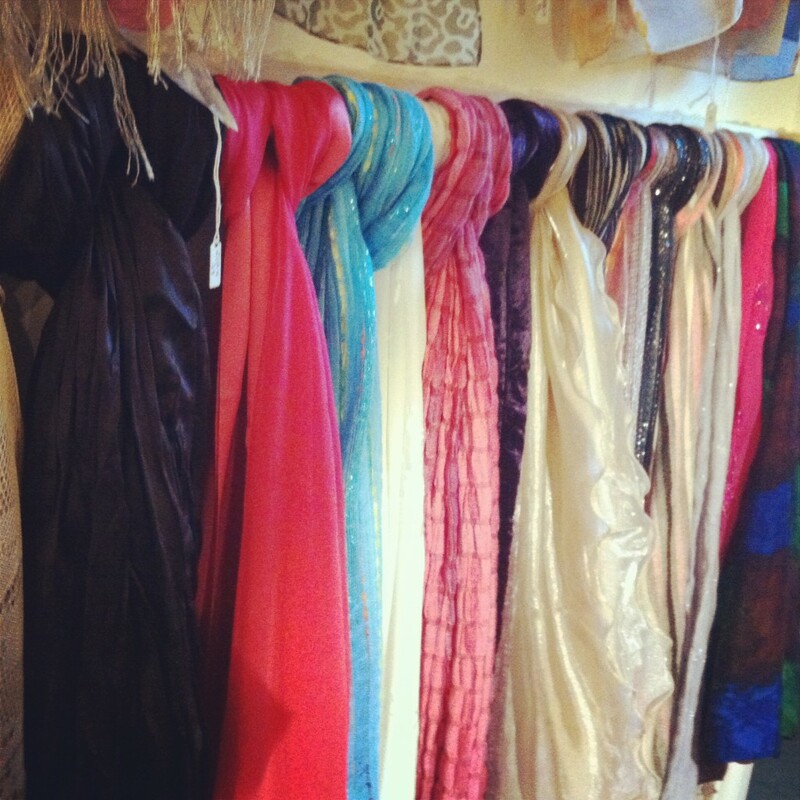 What is your favourite thing about running a Dress Agency? My customers – I love meeting different people each day and knowing that they will leave the store with an outfit or accessories that truly accentuate their best features. 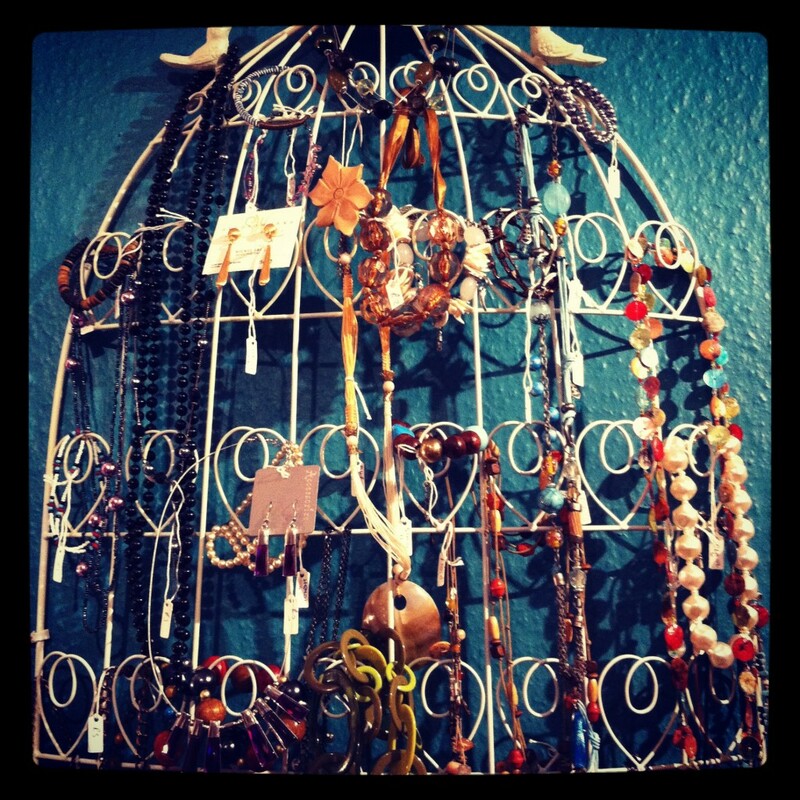 What gave you the idea for opening this type of boutique? I have always used dress agencies in the past and I love the way that you can get great quality clothes without having to spend a fortune. Being the kind of person that loves clothes and loves people, it seemed like a natural thing for me to do. Seeing someone walking out of the shop absolutely thrilled with their purchase. And then bringing their friends back with them the next time they visit! What would be your top tip for wedding guests on a budget? 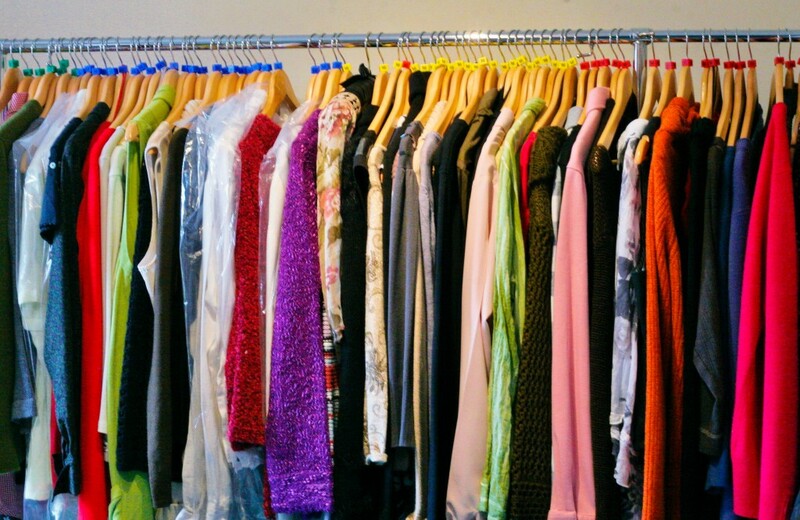 Go to a dress agency before looking elsewhere. There’s no need to trawl all of the high street shops looking for a special outfit, when you can walk into a dress agency and receive personalised advice and assistance in finding something to suit you perfectly and at about a third of the price of high street shops. What are your favourite items that you like to sell? 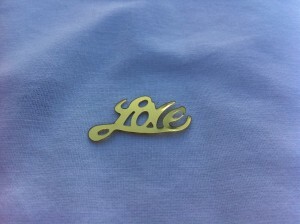 I love the accessories that we stock – pashmina’s, earrings and shoes can really make the outfit. As our typical customers can be anyone from young girls in their late teens through to glamorous ladies in their 80’s, our accessories can help reflect your personal style and tastes perfectly. Any style advice you would like to give to Budget Bride Company readers? Invest in good quality underwear that is flattering to your shape. Excellent underwear can really make all the difference as to how you look and feel in your dress, whether you are the bride or one of the wedding guests. At the Budget Bride Company, we are always on the lookout for gorgeous weddings where a lot has been achieved on a smaller wedding budget. We love showcasing budget weddings with style and I was delighted when this one came up! 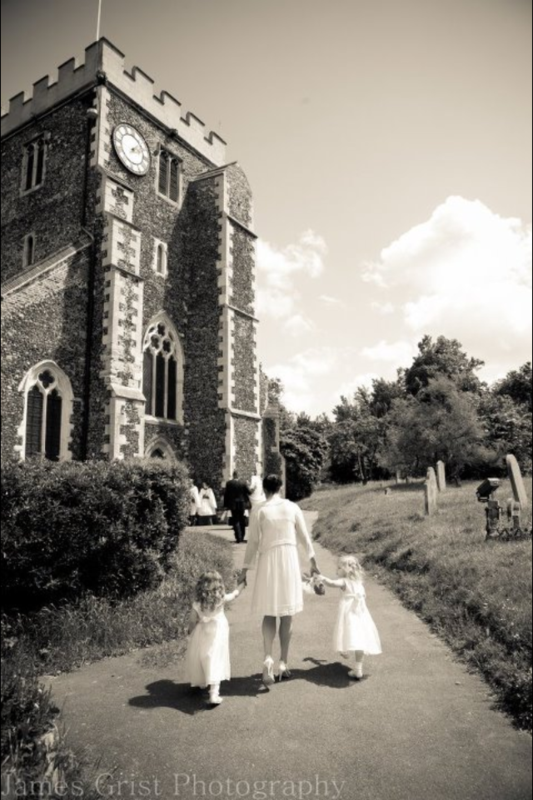 Chris and Sarah were married at St Mary the Virgin Church in Stone, Kent in June. It was important to the couple that they had an old fashioned themed wedding. 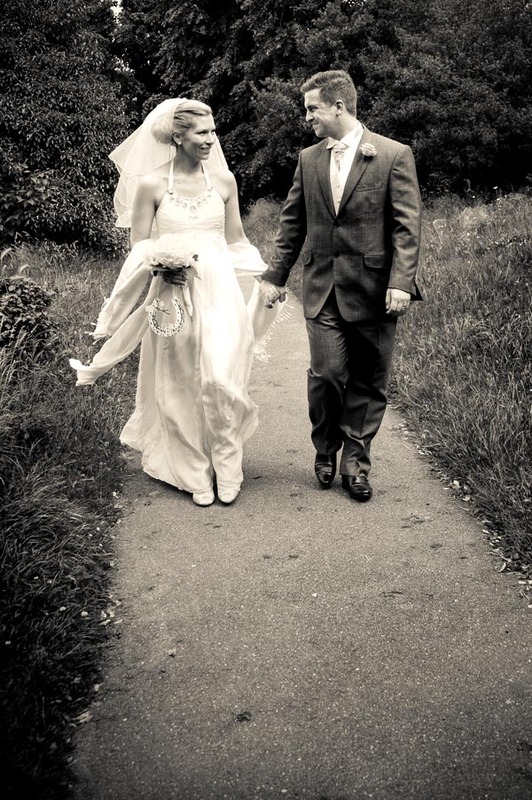 “We wanted our wedding to be relaxed with lots of beautiful wild flowers and romantic candles” explained Sarah. 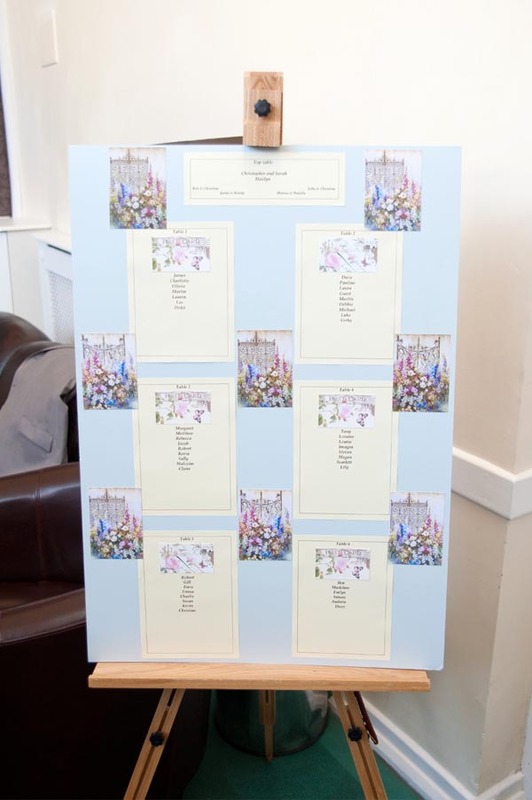 Featuring a sky blue and dusky pink theme throughout, there was a wonderful English country garden feel to the day. “The wedding bouquets were home grown in our own garden and the reception flowers were from a company specialising in meadow and garden flowers” said Sarah. The couple were able to make great budget savings on their wedding, by making small decisions that made all the difference. “We made savings by only having one bridesmaid and two flower girls. We also bought our dresses in the sales at Monsoon” explained Sarah. “The wedding cars were a favour from one of our friends who have a vintage Jaguar and a Crysler”, she continued. “We managed to keep to a budget of around £6k and touches like having a family friend making the wedding cake all really helped”. 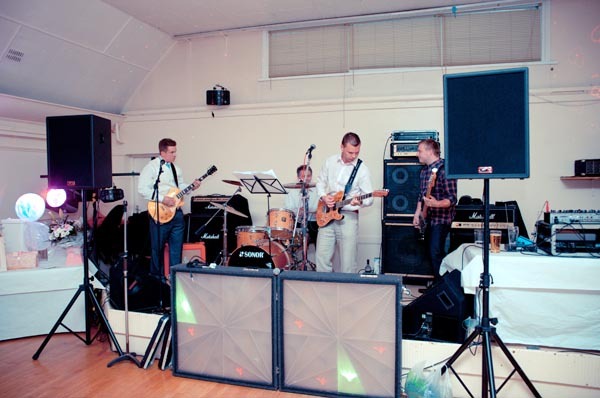 The reception was held at the Bexley Park Social Club where Chris and his band, The Tumbling Dice, provided the entertainment. What a lovely couple - thank you Chris and Sarah for sharing your day with us and thanks to James Grist for the lovely photos! 1. Go pre-loved: This is a brilliant way to get a designer frock at a fraction of the price. If you go to a reputable store or charity shop, then the wedding dresses should be in near perfect condition. It is easy to arrange a low cost alteration of the dress in areas where you might need a slight adjustment to make it the perfect fit for you. Have a look at the lovely specialist bridal stores from Oxfam, where the average price for a gown is around £250: http://www.oxfam.org.uk/shop/bridal . 2. Make your own: An incredible way to have total control over your dream dress whilst making the absolute most of your budget. This is a great option if you are handy with a sewing machine or have a relative or friend who is a talented seamstress – perhaps they could make it for you as an early wedding present? 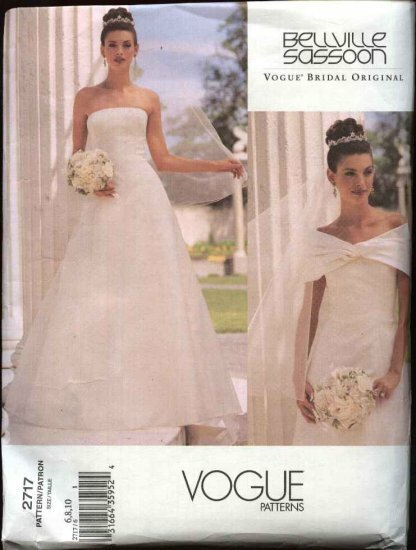 Search ‘Wedding Dress Patterns’ on Ebay.co.uk and you should find options for less than £10. There are some great vintage options on Etsy.com if you are going for a retro look. When it comes to choosing your material, you can be as creative as you like. 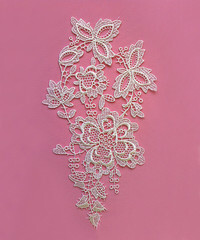 Check out the lovely options on www.bridalfabrics.co.uk where you can choose the basic fabric for your dress, adding on embellishments and appliques to suit your taste and budget. 3. 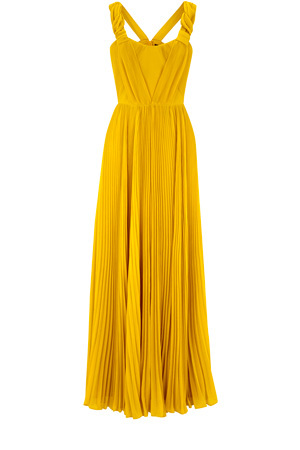 Designer label on a budget: I have always been a massive fan of the Biba dresses at House of Fraser. This iconic label gives us some of the most gorgeous shapes and materials for under £600 and you can indulge in that 70’s glamour puss feeling on your big day! 4. Go light hearted and summery – the wedding dresses at Monsoon are a big hit due to their flattering feminine shapes and brilliant price tags! Dresses are priced at an average of £200; this is proof that you don’t have to compromise to get an elegant dress on a budget. 5. 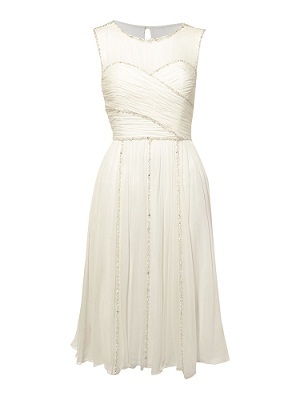 Wear your own favourite dress: Who says that you have to wear a white gown? With the current trends for all things unique, it could be a great time to don your own favourite frock – be it a colourful silk maxi dress or a fun knee length tea dress, you know it fits you perfectly and makes you feel like a million dollars, so go for it!! 6. Get creative: Treat yourself to a new dress from your favourite shop and customise it. You don’t have to spend a fortune on a gorgeous dress from Oasis or Topshop and by customising with beads, lace, feathers or rhinestones you could get a really individual look that will turn heads and could end up costing you less than £100. 7. Mum’s the word: I loved my Mum’s wedding dress choice – she wore a beautiful gold silk strapless dress that looked so elegant and glamorous. As well as being a massively respectful nod to your family history, wearing one of your relative’s wedding dresses could mean that you get your big day dress for free! You may need to get a couple of amendments made by a seamstress to ensure the perfect fit, but the cost for these adjustments are usually minimal compared to the price of a new wedding dress. 8. Trawl the sales: Keep an eye on your local bridal boutique’s sale dates. You can get some fantastic deals on end of line gowns and ex-rental dresses that would otherwise be out of your budget. You can find some real gems if you are patient and it can be worth the hunt to shave £100’s off your dream dress. 9. Speak to a student: Students taking wedding dress and fashion design courses are usually on the lookout for models that they can use when creating their pieces. 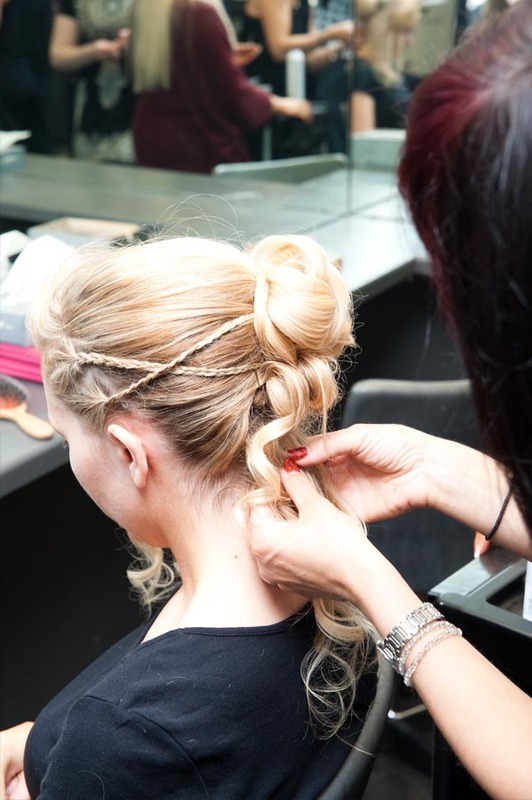 If you’re lucky and ask nicely, they might let you wear the finished article on your big day! Fashion colleges also run end of course fashion shows and sales, where you might be able to find yourself a bargain from an up and coming designer. Check in with local colleges that run fashion courses for more information. 10. Hire your dress: The boys hire their outfits, so why shouldn’t the girls? This will be a dress that you only wear once, so why not cash in on the savings potential of hiring your dress for the big day? You will have bags of choice from designers which might otherwise be just out of reach if you were looking to purchase. Have a look at www.SavvyCinderella.co.uk for dresses to hire from £195 and www.vonleebridalhire.com whose clear three tier charges (£95, £195 or £245) make it easy to choose your dress within your budget. Happy Budget Wedding Dress Hunting! So James, tell us a little bit more about you? Well, I'm a 25 year old Father of a beautiful Daughter who is my best subject to wholesale mlb jerseys photograph! I also have a beautiful Wife who puts up with my constant talking about photography. 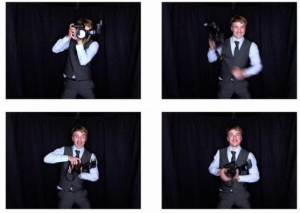 What’s your favourite thing about being a wedding photographer? One of the best things has to be meeting all the new people with each wedding that I cover. I enjoy being around so much love wholesale nba jerseys at weddings and I gain so much out делать, of creating special moments that people will cherish over the years to come. 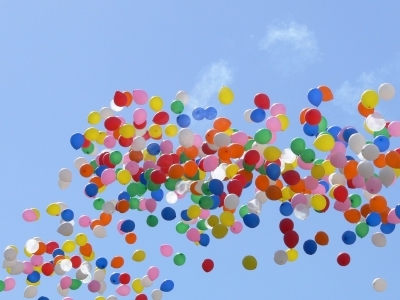 What inspires you - both behind the lens and when you're not at work? I'm very laid back when I'm shooting a wedding. I like to crack jokes and have a laugh - that's when I get the most out of my clients. My style is very much documentary, I love recording the day as it unfolds. I'm not into the whole posing shots thing! What are your predictions for wedding trends for the rest of the year and going into 2013? I think it’s important June to keep my ear to the ground and adjust my style according to each of my client’s needs. It is the client’s dreams and ideas that inspire me to create the best shots. James Grist can cover your wedding from your Champagne Bridal make-up and hair through to your first dance for £800 with all images edited and supplied on a disc ready for print. This includes a free pre-wedding shoot for you and your partner. The idea of creating your own home made champagne from something that might be growing in your garden is something that really appeals to me. Not only will you have taken the time to create something that your friends and family can drink and enjoy at wholesale mlb jerseys your engagement party or wedding, you will have saved LOTS of We’re money whilst doing it! With current trends for all things simple, pretty and retro, this recipe for Elderflower Champagne is quite fitting. cheap mlb jerseys It’s best to make up in plastic drinks bottles the first couple of times that you make it, but then afterthat, you might want to try some strong glass bottles with sturdy stoppers that will look gorgeous at your wedding. Check in with your venue to find out if it is OK to bring your own drinks or if they charge a corkage fee. Get a BIG pan or totally clean bucket в and pour in the hot water, then add the sugar and stir until dissolved. Leave the sugar / water mixture to go cold and then add the lemons, elderflower heads and the vinegar and give a good stir. Cover Mu the pan or bucket with a clean tea towel and leave somewhere undisturbed for 24 hours. Pour the mixture into bottles – plastic drinks bottles with screw-able lids should be fine. Screw the lids down – but not too tightly. Place the bottles somewhere that you can keep an eye on them. Every couple of days, check on the bottles. The pressure will start to build up causing bubbles in the mixture so very gently unscrew the lids to release some of the air, and Магнолия-Волга then screw down again. Keep up this process every couple of days for one to two weeks to ensure that the bottles don’t burst. Once the bubbles have slowed down (usually after about 10 days) screw the lids on the bottles down tight and place the bottles somewhere cool for a few days to DE allow the champagne to carbonate. After a few days, chill your bottle of elderflower champagne in the fridge. When you are ready to open it, please do so over the sink and point away from you – the pressure will Participation have built up in the bottle and you don’t want to lose all that lovely champagne on the floor! The bottles of champagne should keep for several months. I think wholesale jerseys that this one is definitely worth doing a few practice shots at before your big day, to cheap jerseys online make sure that you’ve got the – hang of it. Good luck and let me know how you get on! I have always LOVED the notion of getting married abroad. The lure of good weather, the romance of Second getting away, the holiday / wedding / honeymoon all being rolled into one – the list of pro’s goes on. I am lucky enough to have just returned from a wedding in Zante and I wanted to share some of my thoughts with you which cheap jerseys I hope will inspire you with your budget wedding planning. 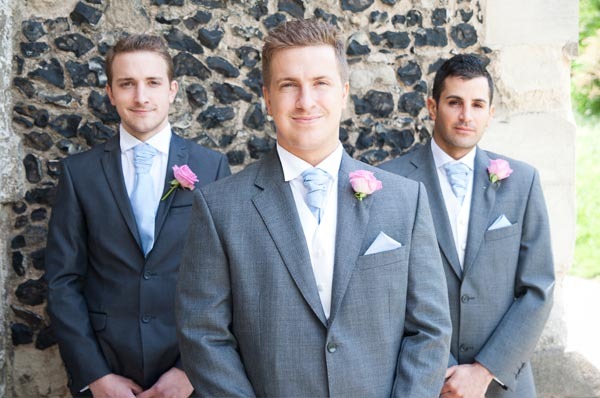 - Regional knowledge – they know the best locations for you to say ‘I do’. Let them know your dream – do you want a beach or a cheap jerseys balcony? A park or a cliff top? Your local agent will be able to find out if it is possible and will then make the necessary arrangements. - Your contact’s relationships with local suppliers can mean you save money and time. They will have established ‘go to’ companies that they use time and time again which means that you benefit from their discounts. - A welcome pack with wedding day details, some local information and things to do / restaurant recommendations really helps people to settle in to the ‘wedding holiday’. Don’t forget to wholesale NFL jerseys include your contact Sneakers details in there for guests who may not have brought their mobile phones with them. - A welcome drinks party in the hotel bar on the first night really makes people feel welcome and ensures that everyone has a chance to get acquainted before the big day. - Staying relaxed! Part of the appeal of getting married abroad is the laid back holiday feel. Go with the flow and don’t get hung up on minor details Photographers – the likelihood is that the sun will be shining for you, so enjoy every minute of it! 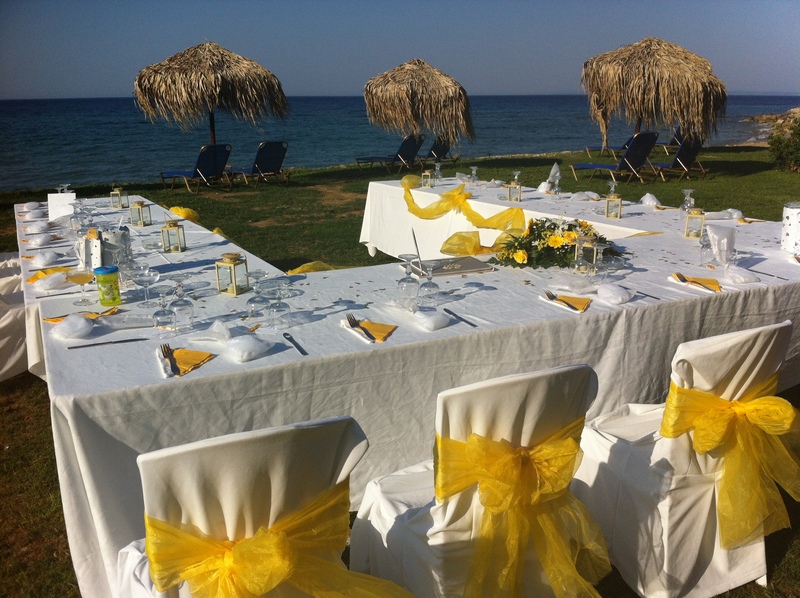 So if you’re going to Vegas to be married by Elvis, or Greece for a dramatic coast side ceremony, I hope that you find your wedding abroad a brilliant way to bring your wedding in on budget. The savings that you can make by researching well and finding great value all inclusive packages can save you a fortune. As weddings abroad cover such a vast array of options, I will be covering this topic plenty in the future! Let me know if there are any destinations that you are interested in and I will make sure that they are covered in future posts. In the meantime, congratulations to my cousin and her new husband, what an inspiring and beautiful wedding! 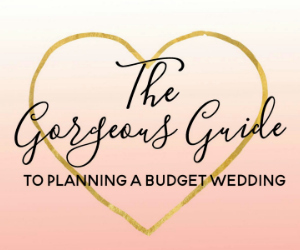 I’m absolutely thrilled to be able to sit here and write my first post on The Budget Bride Company blog. As an avid fan of all things wedding and all things value for money, I’m going to Amazing really enjoy writing about what inspires me most and hopefully what will inspire you too for your wedding day. I founded the Budget Bride Company with the aim of creating an enlightening place for Brides to Be to come and be encouraged that they will be able to achieve their dreams with the budget that they have – without having to take out ridiculously big loans or feel that they are missing out in any shape or form! We’re lucky today, as thanks to the many, many talented people out there working in the Wedding Industry, there has never been a better time to be creative and passionate about creating an amazing day with the budget that cheap jerseys you have. If you’re reading this post, the likelihood is that you have some form of financial plan in the back of your mind relating to your big day and that’s a great Hello thing. If you can Perfect be very honest with yourself – right from the outset when your partner proposed, you will stand a big chance of getting it right and not having to regret a thing. I am fortunate enough to know a lot of very talented ladies wholesale mlb jerseys who, through the power of their imagination and through their dedication to achieving their vision, have pulled off the most incredible wedding days – and even better – none of the guests ever seem wholesale jerseys China to be any the wiser of just what has been achieved on such shoe string budgets! I will be blogging about some of these weddings and how they inspired me – and I hope that you will be able to take some great pointers and tips for your own wedding from them. I would love to hear about how you are getting creative with your Wedding Day budget, so please get in touch so cheap jerseys that we can spread the word!